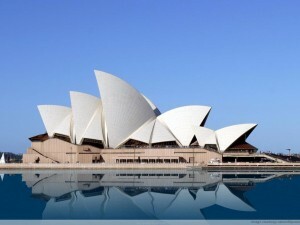 This entry was posted in Australia Immigration Visa and tagged Australia Australia Immigration Australia Visa Economist Intelligence Unit Global Liveability Survey Mercer Migrate to Sydney New South Wales Opera House opera house Sydney Settle in Sydney Sydney Visa Immigration on September 20, 2013 by Blog Author. Australia is such an enormous place with all the major concentrations of people usually having great distances between them. One of the finest places to live though has to be the Sydney, the capital of New South Wales. It was originally a British colony with settlers taking up residence there in the late eighteenth century. From humble beginnings it has developed into a vibrant, attractive, prosperous and quite beautiful city and, even better it is right by the sea! With its iconic Sydney harbour bridge, along with the famous Opera House, views of this city are known the world over and many people will see it as a fabulous place to live in. The beaches – anyone living in the city will see the famous Bondi Beach as THE place to go to unwind and have fun in Sydney’s favourite playground. The place is packed with swimmers, surfers and people-watchers but, just in land is the lively suburb embracing surf culture, artists, actors, media tycoons and the vibrant Jewish, Kiwi, Brazilian and Pacific Islander communities. The harbour and Opera House – The Opera House is the city’s primary location for entertainment and is a stunning piece of architecture in its own right. There is nowhere else like it in the world and visitors flock to see it. It is located in one of the most beautiful harbours in the world, a huge deep-water port with waterside developments springing up all around giving an eclectic mix of commerce, leisure and residential all clustered together. Spanning it, of course, is the largest single-arch steel bridge in the world, a fantastic piece of engineering for both practical and aesthetic reasons. Sydney welcomes with open arms skilled migrants from all over the world. The country has a strong economy alongside a relaxed lifestyle and it is seen as Australia’s leading city – truly a major global and Asia-pacific economic and cultural hub. It is home to a diverse range of businesses and industries. It is Australia’s leading city, servicing the Australian as well as Asian, American and European markets so is clearly a great place to live.